SANTA ROSA, Calif. (KGO) -- So many have been affected by the North Bay fires. ABC7 put together this list of vetted, local resources to help those affected by this disaster. Volunteer firefighters who were part of the First Responders for the NorCal wildfires of 2017. An organization born from the Northern California wildfires of 2017, they create restaurant-quality meals for families of 4-6 that have been severely affected by the fire and are best served by continuing prepared and semi-prepared meals. They need VOLUNTEERS AND DONATIONS to continue their work. They connect volunteers with nonprofits in Sonoma County, and you can specifically let them know you'd like to volunteer for Fire Recovery. Multiple ways to volunteer in the Mendocino County area. 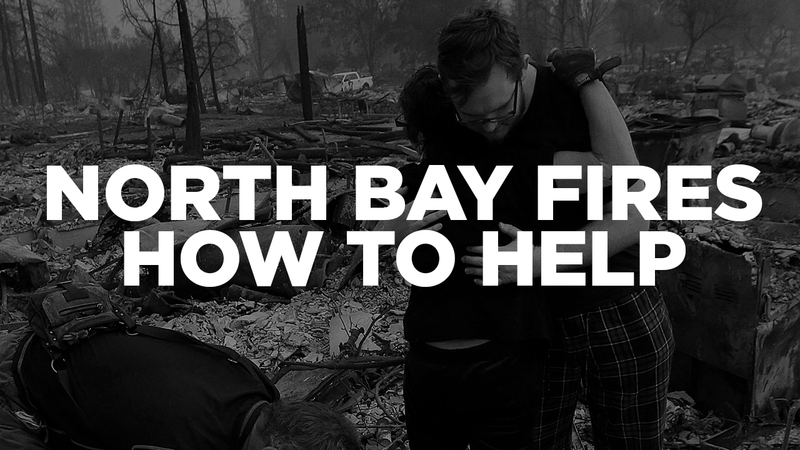 Provides access to continuing assistance and a helpful FAQ section, as well as the most current news on local updates on the rebuilding process in Sonoma County. Up to date news on Mendocino County rebuilding efforts, and resources for recovery services. Working to reduce death and injury from home fires by 25 percent, by installing free smoke alarms in homes that don't have them and educating people about home fire safety. Learn how to create "Defensible Space," ways to "Harden Your Home," building your own emergency supply kit, and designing your own Wildfire Evacuation Plan. An easy online questionnaire to find out if YOUR home could be in danger, and possible solutions on how to fix any potential dangers.